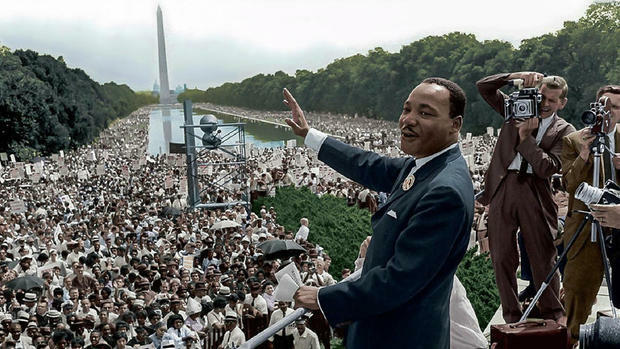 In 1963, Dr. Martin Luther King Jr. delivered his famous “I Have a Dream" speech on the steps of the Lincoln Memorial. Although his advisers did not want him to use the word "dream," King ignored their advice. And this was a great decision on his behalf because that speech has remained over the years a constant reminder of his dream of peace among all mankind. 1. "If you can't fly then run, if you can't run then walk, if you can't walk then crawl, but whatever you do you have to keep moving forward." 2. "That old law about 'an eye for an eye' leaves everybody blind. The time is always right to do the right thing." 3. "Faith is taking the first step even when you can't see the whole staircase." 4. "Our scientific power has outrun our spiritual power. We have guided missiles and misguided men." 5. "Let no man pull you so low as to hate him." 6. "Forgiveness is not an occasional act; it is a constant attitude." 7. "We must live together as brothers or perish together as fools." 8. "We must accept finite disappointment but never lose infinite hope." 9. "The ultimate measure of a man is not where he stands in moments of comfort and convenience, but where he stands at times of challenge and controversy." 10. "No person has the right to rain on your dreams." 12. "Injustice anywhere is a threat to justice everywhere." 14. "I have decided to stick to love ... Hate is too great a burden to bear." 15. "Intelligence plus character -- that is the goal of true education." 16. "We must develop and maintain the capacity to forgive. He who is devoid of the power to forgive is devoid of the power to love. There is some good in the worst of us and some evil in the best of us. When we discover this, we are less prone to hate our enemies."